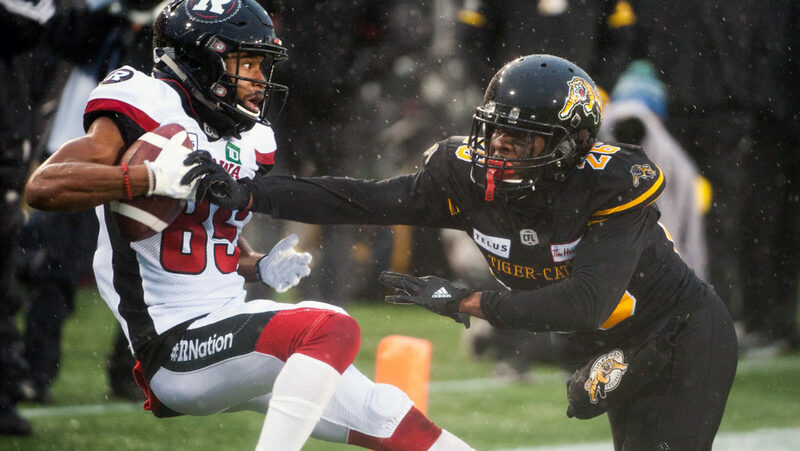 HAMILTON — The Hamilton Tiger-Cats announced Wednesday the football club has signed international defensive back Cariel Brooks to a two-year contract extension. Brooks, 27, started all 18 games last season at defensive halfback for the Tiger-Cats and earned East Division All-Star honours for the first time in his career. The 5-foot-10, 200-pound defensive back finished the season tied for sixth in the Canadian Football League in interceptions (4), added a career-high 57 defensive tackles, as well as seven pass knockdowns, three forced fumbles and one tackle for loss. Over his two-year CFL career (2017-18), Brooks has played in 29 games with the Tiger-Cats, accumulating 90 defensive tackles, one special teams tackle, 11 pass knock downs, five interceptions and four forced fumbles. He also attended training camp with the Toronto Argonauts in 2017 before joining the Tiger-Cats, and spent two seasons (2015-16) with the National Football League’s Arizona Cardinals where he appeared in three regular season games in 2015. Prior to turning pro, the Miami native played three seasons (2012-14) at Adams State University, registering 99 defensive tackles, 1.5 tackles for loss, eight interceptions, one interception-return touchdown and 31 pass breakups.